Tandanya Theatre at Live From Tandanya, Sun 18 Feb.
Eleanor’s Story is a powerful and dramatic solo theatre piece. The story is one of growing up and coming of age, but set in some rather tragic transitions – moving from New Jersey to Berlin in 1939 for father’s work, being unable to leave until after the war. There is the whole trauma of the Nazi experience up close, Hitler Youth instead of boy scouts, from being honoured guests, to being unwanted aliens from an enemy country, ostracized, in poverty after losing father’s job. And then in a city suffering air raids and bombing, the tragedy of death and destruction all around, culminating in the Russians’ sacking of Berlin and taking revenge on its citizens. But along the way, there is a cross current of little gems, positive stories and jokes amongst what is a deeply moving presentation. Ingrid, as a playwright and actress is the Eleanor’s grand-daughter, adding gravitas and immediacy to the show. She transitions between characters instantly, but nobody is lost along the way. The staging is minimal; nothing needs to get in the way of Ingrid’s delivery. Technically the lighting and sound are flawless. By the end of the show there is no doubt of the shared emotion, from the stage and throughout the audience. Eleanor’s Story is a difficult and challenging piece of theatre, but one well worth experiencing! 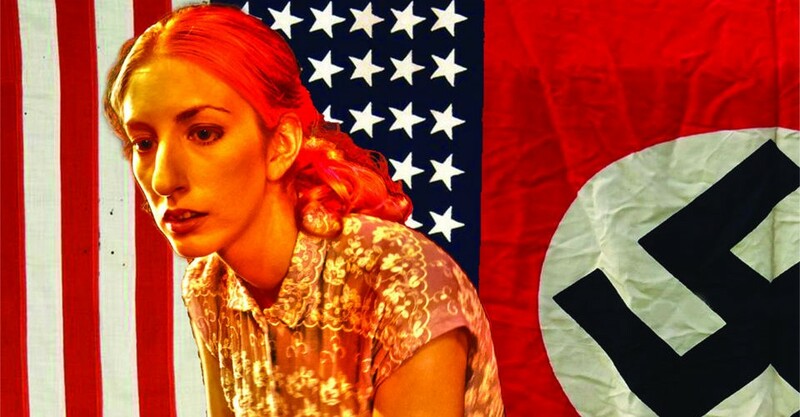 Eleanor’s Story – An American Girl in Hitler’s Germany continues at Tandanya Theatre at Live From Tandanya, at various times, until Sat 17 Mar.